Montreal collective Kokoromi set the gold standard for game conference parties, particularly with their GAMMA4 showcase at the 2010 Game Developers Conference, and with a year gone by and no sign of its return, it was decided at the end of 2011 that it was time we took a crack at it. Partnering with UK collective Wild Rumpus and the London-based videogame radio show One Life Left, we decided to storm the 2012 GDC with a party/showcase of our own to take place following the awards ceremony for the Independent Games Festival. In this first iteration of what none of us at the time had expected would become an annual tradition, my main contributions were the idea of using the venue’s green room as a “chill-out zone”, where attendees could play Ed Key’s still unreleased Proteus, with the game’s sound designer David Kanaga playing a live mix on the main stage (which you can still hear here in all its glory). I also tapped into the talent of musician friends, bringing in Kyoto-based DJ Baiyon (co-creator of games like PixelJunk Eden) and renowned underground hip-hop star Doseone, who would become a close collaborator on my related projects & soon afterward a highly sought-after game musician in indie circles. 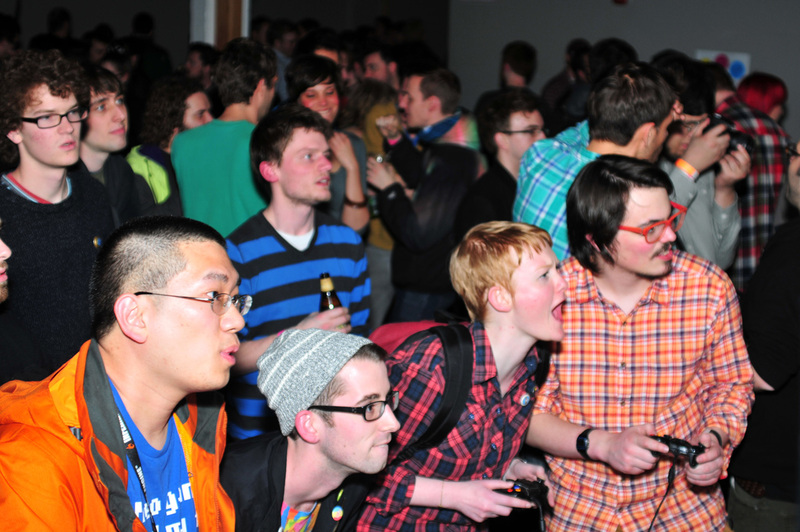 The games lineup featured a number of games that would eventually become the PS3/PS4 multiplayer collection Sportsfriends, most notably the party’s poster-star Johann Sebastian Joust, a games-event mainstay for a number of years. Mysterious DJ duo Philippe Lemarchand rounded out the evening, made up of Uncharted series co-designer Richard Lemarchand and Phil Fish of Polytron and Montreal collective Kokoromi, bringing the whole affair full circle.